Find the most affordable deals on brushes as shared and experienced by our team of bargain hunters. These deals comprise mostly of price drops, clearance sales, 3-for-2 offers and so much more. Whether you use brushes for cosmetic, cleaning or art purposes, finding the cheapest price will definitely help you save more on your next online purchase. Get massive discounts on paint brushes, makeup brushes and cleaning brushes from Amazon, Superdrug, Argos, Boots, Homebase, Wowcher and Groupon. Don't forget to use voucher codes and special offers so you get some percent off the regular price. Scouring Rag Brushes - Almost HALF PRICE! Electric Toothbrush Sonic Brushes with Timer - HALF PRICE! REDUCED- 6 Pcs, Watercolour Brushes!! USpicy Makeup Brushes - Essential 32-Piece Make up Brush Set - Save £3! Enjoy big savings on cosmetics, art and cleaning brushes here at Latest Deals! 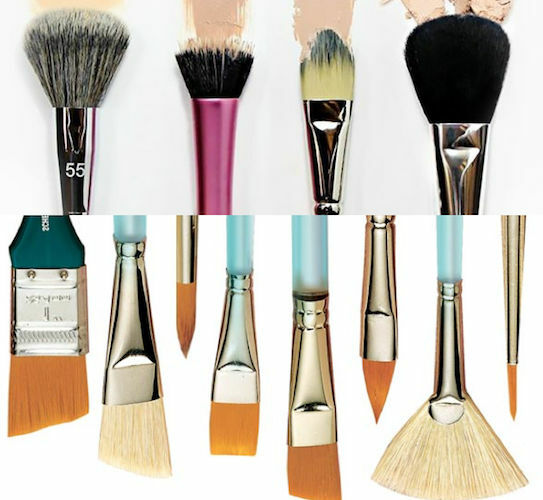 There is a growing number of following when it comes to brushes. For whatever the purpose is – be it in makeup brush or painting, creating a wonderful masterpiece requires the right tool. When you use the wrong one, there is a tendency for you to end up frustrated. This is not the kind of feeling you would want to get from pursuing a passion, right? This is why the kind of brush you own is vital. Brushes are characterised through the following – shape, size and the materials of the bristles. Indeed, these brushes are in a broad array of shape, size and stiffness. At the end, it would boil down on where you need it for, and your preference too. There are instances when the bristles are natural, while there are times when they are synthetic. Before purchasing one, you must know what you intend to have it for. Soft brushes are for thin paints while stiff brushes are for moving ones. These are only among the factors you surely know by now. With the expanse of selection for you, you might get scared thinking that getting you the brush that you want requires so much money. Today, that should not be a concern anymore because there are many affordable deals online that may get you one without compromising your budget. Where Can I Find Cheap Brushes Online? From paint, pen, make up, tooth, to hairbrush, Latest Deals got your covered. We feature special offers, sales, freebies and discount codes which are exclusive for our members. Get the brushes you are looking for at everyday low prices from your favourite UK retailers including Amazon, Argos, Beauty Bay, Boots, Cherryz, eBay, Homebase and more. We have a team of money-saving experts and a community of bargain hunters who constantly look for the best deals and share them to our members. This may answer your need for makeup brushes and others. Watch out for their updates and posts and save from your transaction. Amazon. Fashion, technology, music, toys, beauty and more – this online retailer has everything you can think of. Watch out for cheap high end makeup UK and brushes that would satisfy your passion for sure. 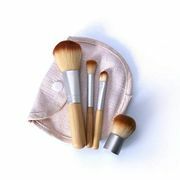 Shop makeup brushes and tools including contour blending brushes which are offered in the most reasonable price. Furthermore, get discount codes so that you can save more money. Beauty Bay. It does not matter whether you are a beginner, or an expert who wants to upgrade your kit. Beauty Bay may get give you your makeup brush set and cheap makeup without spending a fortune. This retailer is the key to every artist’s dream. With its tried and tested supplies, you can unlock real techniques in cosmetics and makeups without sacrificing your budget. You voucher codes to make this possible. Boots. From cosmetic and makeup brushes, brow brushes, brow sets, cleansers to sponges, Boots is there to assist you. Achieve flawless application with its broad range of selections just for you. Look at cheap designer makeup so that you can still attain both quality and price. Check its website and use discount codes and voucher codes for freebies and money off. Homebase. Turn painting and decorating a breeze and delight with the best paint brushes, trays and rollers from Homebase. 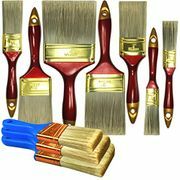 If you are planning to do a home makeover, or is already in the midst of performing it, check out their selection of cheap paint brushes and brushes sets for as low as £2. Exaggeration aside, there are hundreds of artist brushes available on the market. Each is intended for a particular application. Some are made of natural hair; others are created synthetically. Regardless, there are several factors true to all of these brushes – their materials, shape, size and length (of the bristles) affect their functionality. Needless to say, it would take years to master the art of picking the right brush, for the appropriate purpose. Overtime though, it can be attained – the way it has to be used and applied will all come naturally. This is how it works. It is common for new artists to focus on the shape and the size of their head brush. However, these are just only minor parts to know, and there are still more. What are these? Handle, ferrule and a brush head – these are the compositions of a brush that you need to consider when searching for the right one. Handles. Handles can be short or long. If you are one who paints for long hours on a regular basis, it is crucial that you utilise a brush that comes with a comfortable grip. This may depend on your habits and style. Once you have decided already, you can switch to long or vice versa. Generally, short-handled brushes are easier to control. It is ideal if you are only beginning. Ferrule. This component is responsible in connecting the head of the brush to the handle. A good quality brush should have a secured ferrule so that it would not come off over time. There are cheaper brushes and most of their ferrules loose up easily. It is either the head falls off or starts wiggling. This can be aggravating, most especially if you plan to do a more detailed work. Brush Head. Using a brush is not going to occur without looking at the brush head, of course. This is the most significant part of it actually. Basically, brushes are made of hard or soft hairs. However, they differ in the applications. Soft brushes are for thinner paints. They can spread fluid simpler. Harder brushes, on the other hand, are stronger. Hence, they are more resilient. You can also choose if you want yours to be made out of natural hair or synthetic fibres. Foundation Brush. This sleek brush is to even out your foundation application. It would require putting dots of foundation on your face. Afterward, sweep the brush outwards your hairlines so that you achieve a perfect finish. Beauty Blender. A beauty blender is a little sponge to tone your skin perfectly. The broader side of the sponger must be dabbed all over the face to know its magic. Kabuki Brush. In your makeup set, the Kabuki Brush is the widest brush in the set for sure. This is meant for the powders or bronzer you are to apply on your face. It may also be the solution to visible harsh line, if ever you have any. Powder Brush. This thick brush is for the loose powders you want to put on your face. Just avoid for it to smudge your foundation and you are good to go, for sure. Angled Blush Brush. The angled brush is for the highlighting of your cheekbones. Apply some brush on your cheeks and then sweep the brush outwards for more effects. Concealer Brush. A concealer brush is a thin brush intended to cover your blemishes or dark circles, if ever you have one. Eyeshadow Brush. From the name itself, this is when you have to put an eye shadow powder or cream on your face.